It is for his moral courage that the last 50 years could have used a lot more Mario Savio and a lot less Ronald Reagan. When Seth Rosenfeld first sought to investigate the FBI’s files on the University of California and the student protesters at UC Berkeley, he perhaps did not realize the long journey upon which he was embarking. 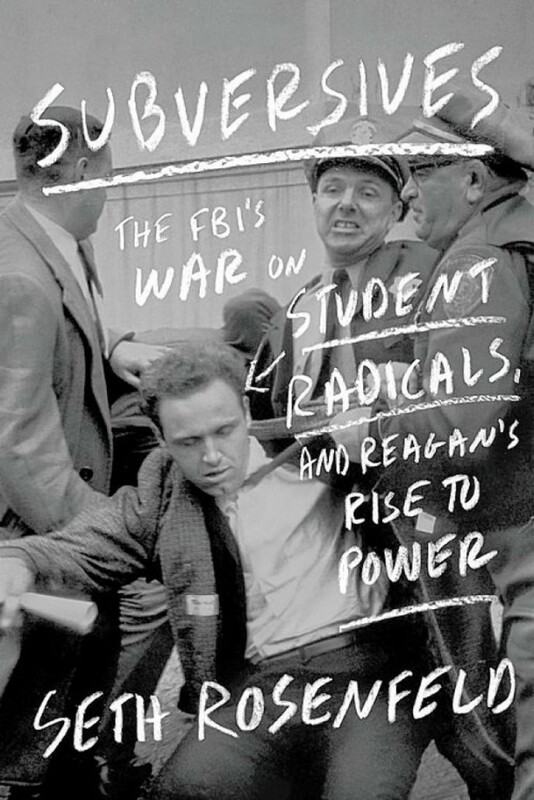 Released last year, his Subversives: The FBI’s War on Student Radicals, and Reagan’s Rise to Power, is a book 30 years in the making. Those long years of wandering through countless Freedom of Information Act requests culminated in a series of lawsuits totaling just this side of a million dollars brought by the FBI to block the release of documents. Those documents, a trove of 300,000 pages, chronicle the agency’s illegal spying program and form the backbone of evidence for the book. Yet it is not his own journey, fascinating as it is, that is the subject of Rosenfeld’s book. He does cover it in a brief chapter and alludes to it in occasional asides. The bulk of the book is rather what he learned along the way. Two people from that moment, that place, are the book’s central characters: Mario Savio and Ronald Reagan. They cross paths and their ideologies collide — they are men of different temperaments and different moral character. We gain much in contemplating their conflict, for it continues today. And it stretches back further than the 1960s to the dawn of the nuclear age. Seen from the farther shore of our 21st century, the events of World War II — outside the Holocaust itself — seem uncomfortably conceivable. Not morally justifiable, mind you, but conceivable. Its complex machinations — the rise of nation-states, modernism’s kicking to the curb of previous ways of understanding, the sturm und drang of previous wars’ lack of resolution, the last gasp and grasp of an earlier form of colonialism, technology’s overtaking of moral understanding — all coalesce in a horrible logic. Its complexity has kept thinkers tinkering to detail its many small components, often with a telescopic focus. But every machine, whether great or small, promoting life or set on its deprivation, has designers, has operators. Comparatively, the 1950s cold war paranoia in the United States offers little to logic. There is a general understanding that the nation came out well after World War II: an x in the victory column; no pockmarks in the landscape from the five-year, almost daily barrage on European and Asian shores; and an economy wedded to war, giving birth to consumption whose riches were relatively shared by a large amount of its citizenry. If any people had cause to look frightfully over its shoulder, this was not them. Perhaps Freud, if given enough shovels, could have excavated deep enough to find the roots: traumatic scars of combat, long-standing race, class and gender divides, the faltering of the agrarian into a brave new world of urbanism. Many folks say the threat imposed by Joseph Stalin justified a certain caution, too much caution, an all-engulfing caution. But enemies, as a psychiatrist may posit, are but bugaboos, the fears we envision to mask something far worse. Then there was the Bomb. An unleashing in a Manhattan Project worse then the global financial disaster of 2008, a destructive power quite at odds with the self-conception of a nation of scruffy, friendly, can-do folk; a little mutt of a nation, that when asked to step up to the plate and develop a curious little weapon based on some obscure physics, damned done knocked it out of the park. “My god, what have we done?” was an afterthought. J. Edgar Hoover, who begins Seth Rosenfeld’s tale, was a troubled man, born of even earlier troubled times. He was not troubled, to Rosenfeld, for various proclivities suspected and brought to light as the shovelfuls of dirt and worms went about their business of the decomposition of the man. Rosenfeld is a “strictly the facts” kind of guy, as his 200 pages of notes attest. Just the facts, verifiable; leave the psychology to the psychologists. Hoover’s troubles were of overreach, of bald illegalities, of purposefully pursuing “enemies” that were of no danger to the United States. The bureau’s own investigation into the Free Speech Movement, an organization formed by students at UC Berkeley to promote free speech through acts of nonviolent civil disobedience was a case in point. Curtis O. Lynum, the FBI special agent in charge of the San Francisco office sent Hoover a memo (its language fairly direct for an organization that affirmed plausible deniability), “It would appear from the information available to date that although there were subversives who took part in the demonstration that the demonstrations would have taken place any way and no information has been received or developed to date that these demonstrations were suggested, operated, or controlled by the Communist Party.” It was the first of three memos offering such findings and recommending not to proceed. Hoover ignored all three. It was this same Lynum who first met with Ronald Reagan at the Governor’s mansion on a gray Monday morning in January 1967. The meeting was held in secret. Lynum was the one who had taken Reagan’s call two weeks earlier asking to meet with the FBI. And again Lynum’s advice to Hoover — to not take the meeting, as the controversy at the university was too politically sensitive — was overridden. Reagan, having declared “’beatniks, radicals, and filthy speech advocates’ were proof of a ‘morality and decency gap’” in California’s Democratic Party, convinced the electorate that the turbulence at Berkeley was a symbol of what ailed the country and won in a landslide against the incumbent Governor Edmund C. “Pat” Brown. Reagan, Rosenfeld uncovers, was at this point no stranger to the FBI. Mario Savio, public enemy number one in Hoover’s alternative history, had by the time he arrived at Berkeley shed the rituals of his Catholicism but kept the moral self-searching and a bit of the guilt. His cousin, the scientist Vincent Caleca, had worked on the Manhattan Project, though later was wracked in anguish over the devastation his research had rained upon Japan. Savio’s grandfather was involved with the Italian Fascist Party before immigrating to the United States, adding further assaults to his moral injuries. Subversives chronicles Savio’s journey, from his time spent in Mississippi where a fellow civil rights worker, Robert Osman, was beaten badly after defensively collapsing to the ground as he had been taught in his civil rights training. The case was left uninvestigated by the FBI (as Hoover told a reporter, the bureau “most certainly does not and will not give protection to civil rights workers”). From there Savio lands to stand defiant atop a police car. He was a stutterer who offered charismatic oratory in crisis, not so much a man trying to control the tides of history, but when pulled into its deepest eddies somehow found within himself the courage to take a moral stand. As he said in an interview with Life magazine, “If you accept that societies can be run by rules, as I do, then you necessarily accept as a consequence that you can’t disobey the rules every time you disapprove. However, when you’re considering something that constitutes an extreme abridgment of your rights, conscience is the court of last resort.” Savio did not know at the time how much his rights were being abridged. Rosenfeld uncovered that Savio was tailed by the FBI from the moment he stepped onto that police car. Again, Rosenfeld isn’t interested in the subconscious, but the verifiable. His characters enter the stage of the drama, and with a deft sketch, his spotlight warms their pasts and shows their shadows and the ideas that bring understanding to their actions. The narrative, despite its heft, runs along like a 1920s cliffhanger serial, with all due speed (though a deeper moral complexity). Each chapter ends with so many questions nagging at the reader that one must read one chapter more. The notes are left to the back for the scholars to hash over. If the book were merely a report on the happenings at Berkeley in the mid-60s, it is easily one of the best: well-researched and a highly engaging read. Ronald Reagan’s previous autobiographers have dealt with, but backed off from, the suspicion of his informing for the FBI on fellow actors, having lacked strong verifiable evidence. Rosenfeld finds, in a confidential report on a meeting on December 19, 1947, Reagan being identified as “T-10” — in the bureau’s nomenclature, a temporary number for a confidential informant. For Reagan, the FBI under Hoover was a slush fund of power he’d dip into when it served his political ends. That power was called upon the first moment he entered the political stage, to open his new career with Hoover’s third act of ousting Kerr, and Reagan takes his bow for being the person who will clean up the “problems” at Berkeley. Though Rosenfeld is too even-handed to offer judgment, Reagan comes across as a Hoover-lite. His lower-grade paranoia hardly inspires fear. Worse, he was hardly a being with the moral complexity to pause and question his own undertakings. Just a functionaire with an actor’s charisma. Looking back at that time, there’s the Bomb and the War, Communism and other such perceived enemies and the United States’ self-image that hangs like a fog obscuring a clear vision of how to justly perceive the world. It is a fog that seems to have not lifted. If the United States is a lovable mutt, it still has rabid mongrel tendencies. Savio and the Free Speech Movement had the moral courage to make an assault on that image of innocence. Hippies and Yippies and assorted freaks tried to bring about moments of real innocence, childlike, Flower overpowering Realpolitik. For their efforts they received the label of subversives, enemies. As did Communism; the conflation of a political philosophy with the imperialist ambitions of Stalin, continues, at least in the United States, to keep those philosophical ideas out of public discourse. 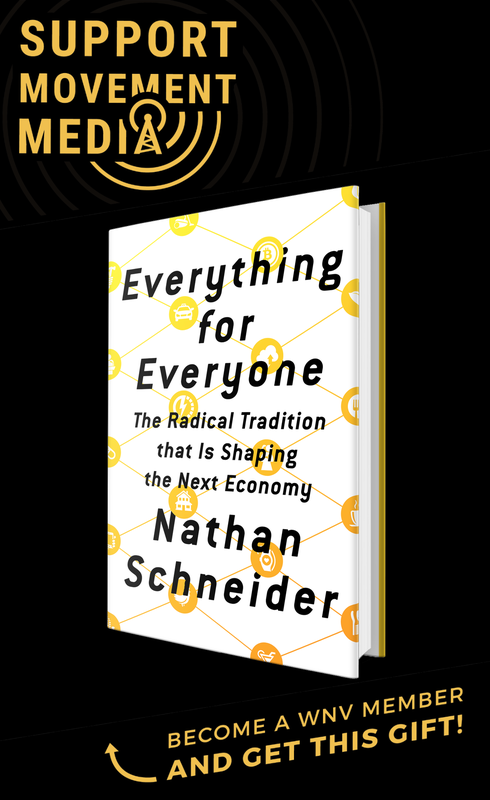 While Capitalism can undertake wars, threaten planetary destruction, and bring the global economy to collapse, it is still believed to hold a moral high ground. The body count of the latter half of the 20th century dropped dramatically from the first. But can we say it was simply paranoia that kept us all in check? It was not military might that brought about the end of the conflicts in South Africa and Ireland. No drones quietly hovering will bring peace between the Israelis and Palestinians. It is for us — whether we directly engage day-to-day, or experience that one time “when the operation of the machine becomes so odious” that we speak out — to develop the moral imagination to bring forth solutions to conflicts. Robert M Keefe is a writer, DJ, accountant. He was previously the editor/publisher of the Oly Review of Books. As one person close to the inside said during this time. We almost lost our Democracy. I still wonder to what? We certainly have massive corruption and white collar crime. Recent article in the L. A. Times by Seth Rosenfeld. A nice continuation of the problems Reagan wracked onto California and its once award winning universities.